Hypertension is the medical term to define blood pressure. If a person’s blood pressure is too high, the risk of heart attack, stroke, kidney disease and so on increase considerably. 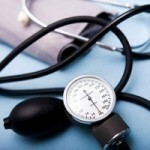 Hypertension treatments are used to normalize one’s blood pressure. The following are some of the medications that may be prescribed if a person’s blood pressure is above the normal, stipulated levels (120/80). Never take these medicines without notifying your doctor. However, it has to be noted that some people may not have any notable symptoms. That is the reason for describing hypertension as a ‘silent killer’. In some cases, people do not even know that they have high blood pressure until it is measured for some other diagnosis. The best way to avoid having such nasty surprises would be to go for regular health check ups. Apart from recommending the appropriate medicines, the doctor is quite likely to advice the patient to switch to a healthier diet, reduce weight and exercise regularly. While consulting a doctor regarding hypertension, make sure that the doctor is aware of any supplements / medicines being taken by the patient. The patient should never change the drugs on their own. If they do not seem to work, tell the doctor so that the necessary changes in medication can be advised by him / her. Hypertension treatments can restore your blood pressure back to normal and keep diseases at bay. Make sure that you take the medication as long as they are needed. Stopping them early when you no longer feel the symptoms may lead to a recurrence. High blood pressure is often a lifelong challenge. It has to be dealt with carefully and often, the medicines prescribed will vary depending on the individual’s severity of condition. Also, they may be changed depending on how effective they are in bringing down the pressure. The doctor will also expect the patient to make the necessary lifestyle changes in order to handle the condition. Regular exercise and a healthy diet are extremely essential to combat hypertension. Let us look at some of the medications that may be prescribed to handle hypertension. water pills: Also known as thiazide diuretics, these drugs work on the kidneys, assisting the body to flush out water and sodium. This helps lower blood volume. calcium channel blockers: These drugs loosen up the blood vessel muscles and slow the heart rate. Talk to your doctor first as this drug may have adverse reactions when it is used along with other medications. beta blockers: Beta blockers open up the blood vessels, leading to slower heartbeats. These medications can be taken alone, but they are often used with thiazide diuretics. ACE inhibitors: The ACE (angiotensin-converting enzyme) hinders the formation of chemicals that contracts the blood vessels. ACE inhibitors are crucial for individuals with high blood pressure and coronary artery disease. The ACE inhibitors are at their most potent when utilized with thiazide diuretic. The angiotensin II receptor blockers work like ACE inhibitors. They can be used by people with kidney or heart ailments. aliskiren (Tekturna): Aliskiren (Tekturna) slows down the renin production, an enzyme that boosts blood pressure. While this drug is being researched, it has the potential to be an effective hypertension treatment. alpha and alpha beta blockers: These medications hinder nerve impulses to the blood vessels. This mitigates the effect of the chemicals that contract blood vessels. The alpha beta blockers perform the same function as alpha blockers. However, they also slow heartbeat too. central acting agents: These will stop the brain signals from getting to the nervous system. This will prevent the heart rate from going up. When your blood pressure is normalized, the doctor may give you aspirin to lessen the risk of cardiovascular disease. Depending on your case, the doctor may prescribe a series of low dose drugs instead of large doses from one drug. Getting the right combination of drugs often requires trial and error. 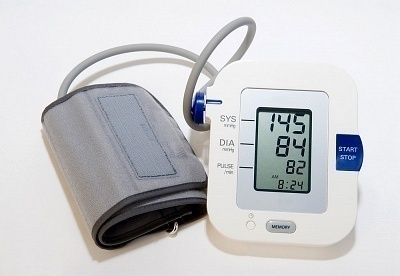 If your blood pressure refuses to go down, you could have resistant high blood pressure. In this case, you should see a hypertension specialist. Individuals that need to take at least four drugs to control their blood pressure have resistant hypertension.